The bell rings and chaos ensues. Kids are chatting it up, a few are wandering around, and you have to admit that pretty much no one is paying attention to you. You raise your voice – and no one can hear you. You flick the lights – to no avail. You wait. You give them the evil eye. You pray they will somehow stop talking. And finally, just as the class is mercifully starting to settle down, Andy and Kasie run into the room – late again – and just like that everything is right back out of control. If this sounds anything like a typical day for you, you are not alone. I’ve had my fair share of these days, especially early on in my teaching career. But just because this is what your classroom looks like now doesn’t mean it has to stay this way. You can have a controlled, effective classroom – one where your students are learning and you’re actually enjoying teaching them. But is it too late? you might be thinking. What if I’m too far into the school year to make real changes? Maybe I should just wait and try again next year. A common thought – but it would also be a very big mistake. Here’s the thing: Yes, changing things mid-year or late in the year is hard. And chances are that while you WILL see results for your efforts, your class still probably isn’t going to get quite where you want them to be. But that absolutely does NOT mean you should just throw up your hands and wait till next year. Why not? Because that first week of school next year is a golden opportunity to start off the year right. If you set the right tone the first week of school, you’ll be amazed at how much easier it is to not only control your class but to engage them as well. But here’s the thing: If you want to be confident & prepared for that first week of school, you need to make changes NOW. You need to use the weeks and months you have left to try out new techniques, to practice being consistent, and to build your confidence. If you make these changes now, your students’ behavior should improve. But what’s even more important is that your skills will grow – along with your confidence. And you’ll be SO glad you put in the extra effort when you’re confident and prepared come Day 1 next year. And if you make all 10 of these changes, you might be amazed how much better your class can be this year, too. Have a plan. If you’re going to control your classroom, you have to have a plan – for everything. Yes, everything. Okay, every teacher knows there’s no way to plan for everything because the kids are always coming up with something new. But as much as is humanly possible, plan, plan, plan. 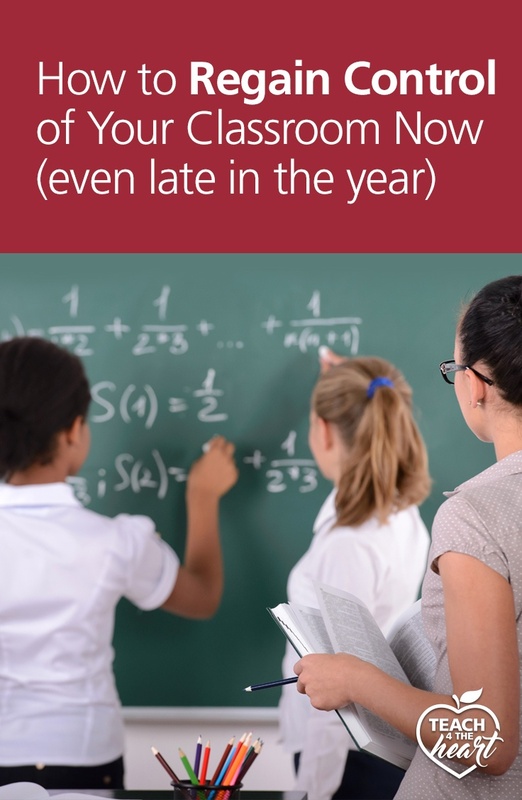 Set aside some time & write down what you will do when a student walks into class late. Plan what discipline you will administer when a student says something disrespectful. Write out your plan of action for when students are talking when you’re trying to teach. Because if you don’t have a plan, you probably won’t know what to do….then the kids will see that you don’t know what to do and will continue to take advantage. Deal with problems while they’re small. My first year of teaching I let the little things go because I didn’t want to come down hard on kids for “small” things like talking while I was teaching or forgetting their supplies. But since I didn’t address these small issues, the students started to think that they didn’t matter and that they could do whatever they want. And guess what they started doing? Whatever they wanted. The problems soon went from small to big, and I found myself with an out-of-control class. The solution? Deal with problems while they’re small. That doesn’t mean that you hand out a punishment for every minor infraction. But it does mean that you do at least address it – every time. A quick “Olivia, remember to sharpen your pencil before class starts” shows you’re paying attention and expect students to follow class procedures. Now in the middle of the year when you have a million issues happening at once, this can be really hard to do. That’s why I recommend starting with a Classroom Shake Up. You can read about the classroom shakeup here. I also explain this in detail in my free classroom management minicourse. Be consistent and follow through. 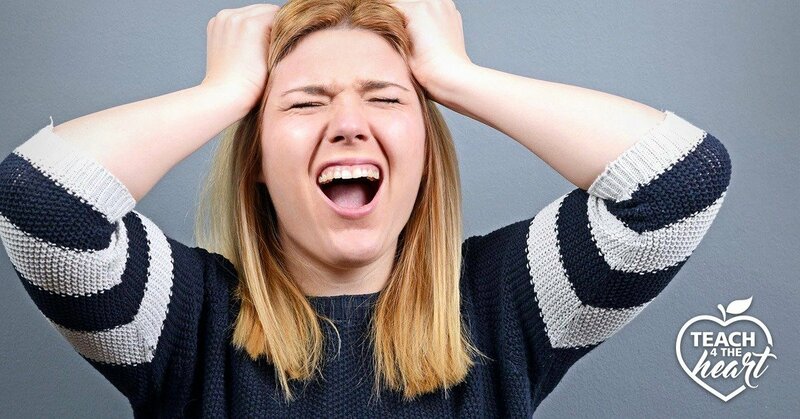 Don’t let your mood or your energy level affect how you deal with classroom issues. Be as consistent as possible so that the students know exactly what to expect. And follow through with consequences if necessary. I know it’s hard (I commiserate about it here) – but you’ve got to follow through with what you say you will do. Otherwise the students quickly realize you’re just spouting out empty threats. Build your confidence. Students can sense when you’re not confident in your ability to discipline them. And you might as well be wearing a sign that says “Feel free to misbehave. I don’t know what to do!” I definitely struggled with this at first, but when I started to gain confidence, everything changed. The first step in building your confidence is to finish that plan we talked about in Key #1. Then practice your responses in front of a mirror or a friend until you’re confident you’ll be able to deliver them effectively. Show the kids you care. Our students have to know that we care about them. When they see that we care enough to love them and to discipline them, they’ll respect us and tend to behave better in our classrooms. But more importantly, when they know we care they start to open up and give us the opportunity to truly impact their lives. Pray and rely on God. God is there to help in everything, and He certainly can and will help you develop an effective classroom. Pray constantly and rely on Him for strength and wisdom. If you don’t have a relationship with God, I strongly encourage you to find out more because He is the greatest source of help and strength you could ever have. These keys will get you started on the right path, but there’s so much more to discuss. If you’re having trouble controlling your classroom, don’t miss our FREE Classroom Management Solutions training. You’ll walk away with a simple plan to regain control NOW & start next year off right. 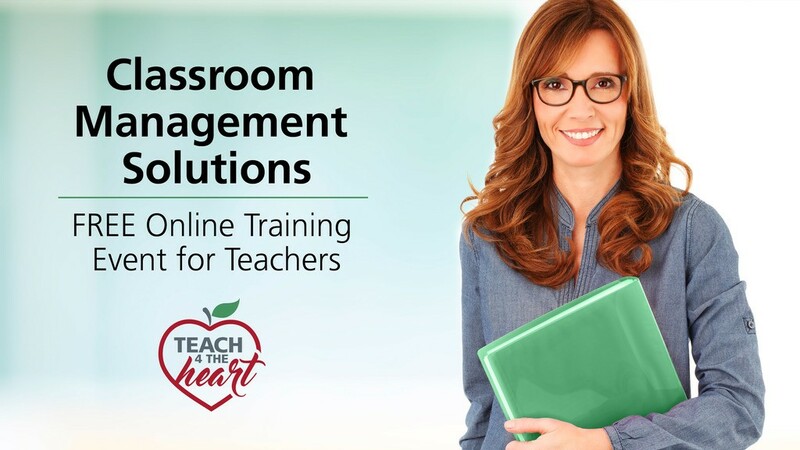 Reserve your spot in the FREE Classroom Management Solutions training. And if you’re an administrator looking for help for your teachers, you’ll definitely want to check out Classroom Management 101. It’s a complete, organized system to help your teachers develop & implement a strong classroom management plan. 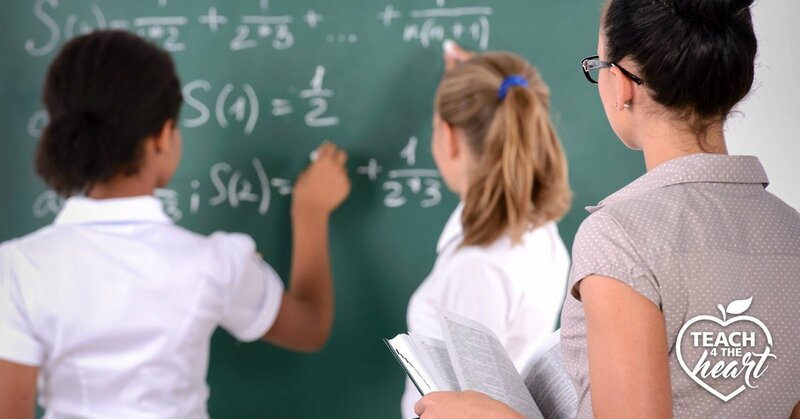 Find out more about Classroom Management 101. What has been your biggest classroom-management struggle? What have you learned that has helped you the most? Share your thoughts with a comment below. This is the program I use. http://tinyurl.com/obqn9wv I have had so much success with this in my home and in my youth groups! I know! I’m so glad to have His help! Wow, this is an amazing article! The fact that it is a solid academic post is only made better by the fact that it is grounded in showing the love of Christ to your students! #10 is #1 in my life. I’m a first-year teacher in the exact situation you describe. I like that you posted real-life solutions, not just telling me what I already know, which is that the kids know I don’t have a plan to deal with disruptions so they know they can get away with more than they should. Thank you! I appreciate all of the points listed here. I’m wondering, though, about ideas for specific consequences or ideas of what to say. I really don’t know what kind of consequences I can put into effect other than sending them to the office or calling home. I need some help for ideas on what to say/do in situations of disrespect or disruption. I agree. I am in year four and I still struggle with consequences. I know each class is different but is there no “do this” approach to at least get started with? Hi, I love your posts and your class management plan works well in my class, but I’m having a hard time this year with a girl who is ADHD. She is high maintenance and leads a couple others into class disruption. Any ideas? I’ve tried moving her next to me, next to my desk, rewards, timeouts, etc. I’ve pretty much used all my resources the have worked with other ADHD students. Thank you for any advise you could give. When you’ve tried everything you can think of, I’d recommend talking to your admin. Also, are there other teachers who have had this student before? Speak with them and see if they have any insight or have found strategies that work well with her.